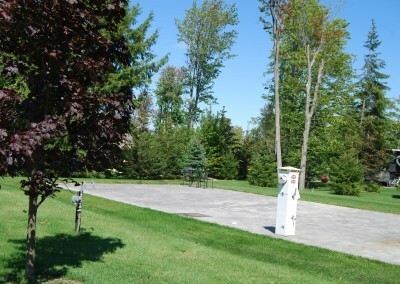 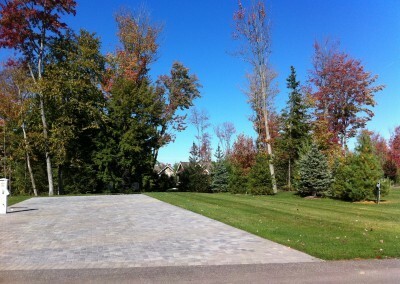 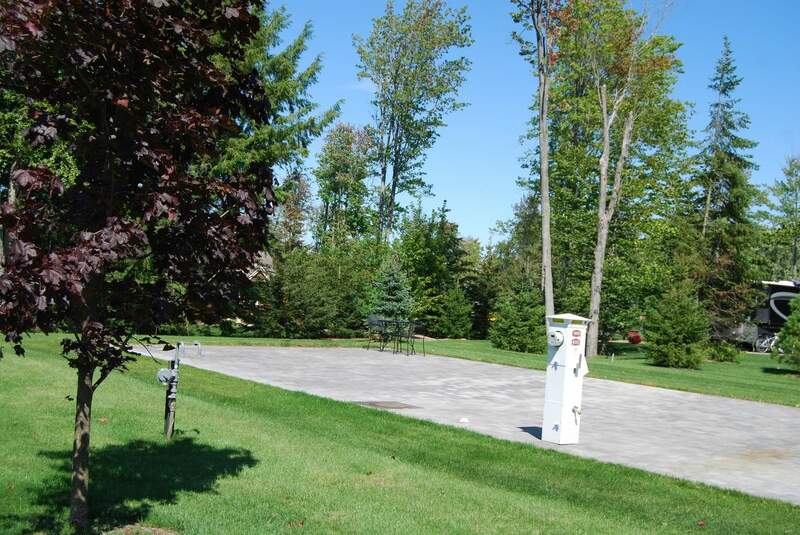 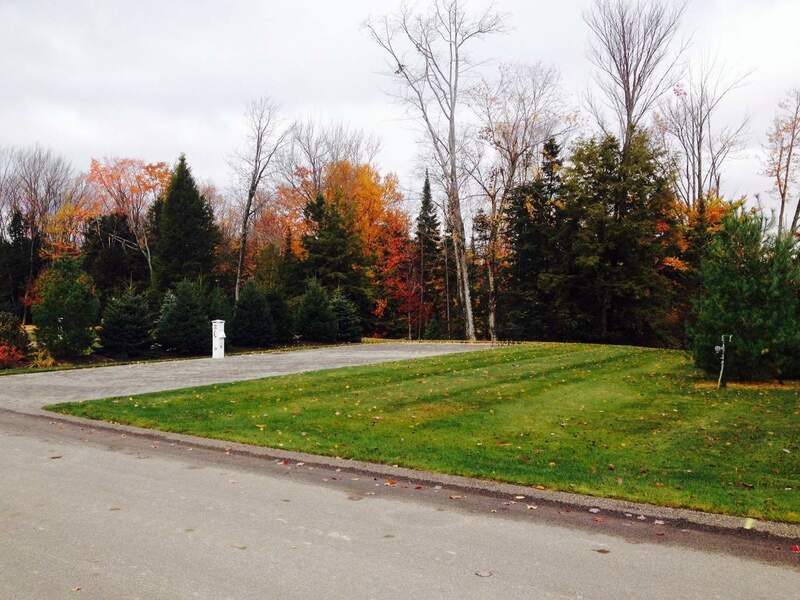 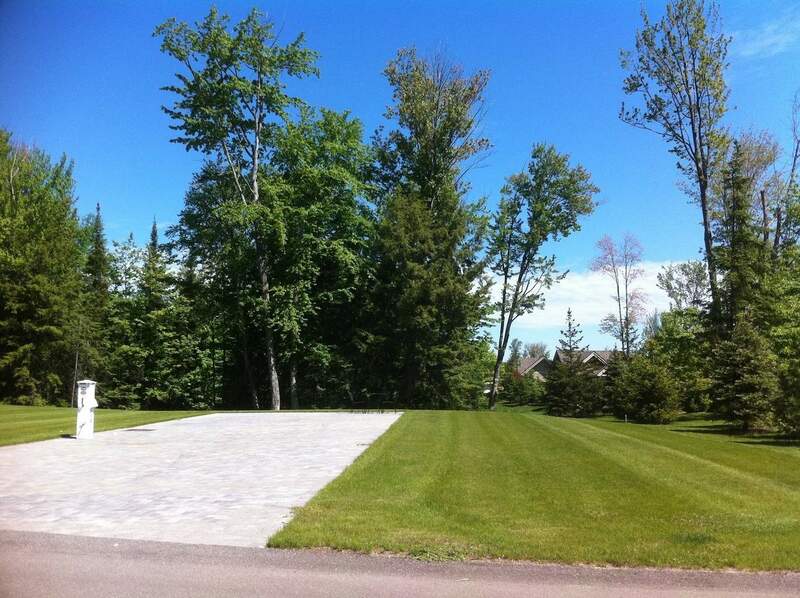 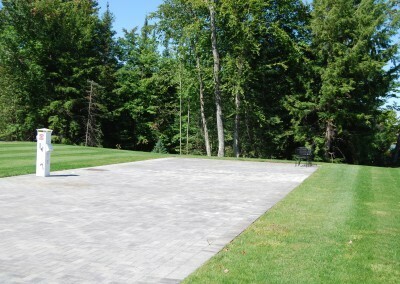 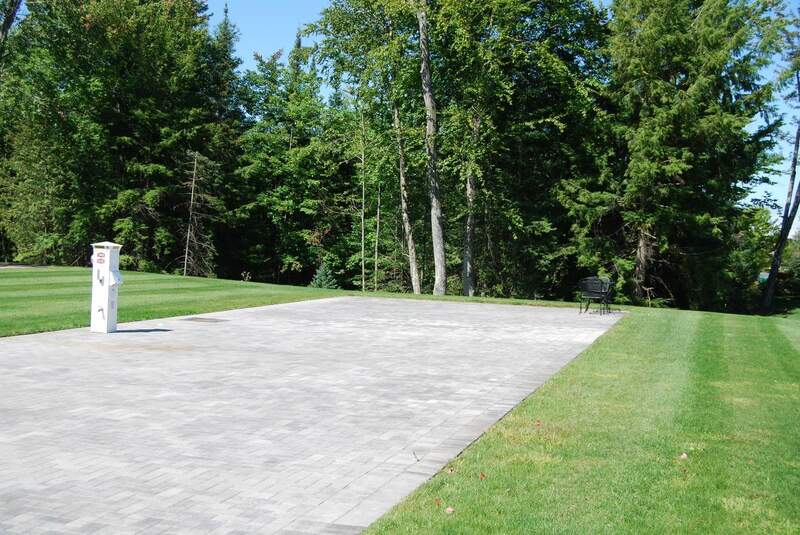 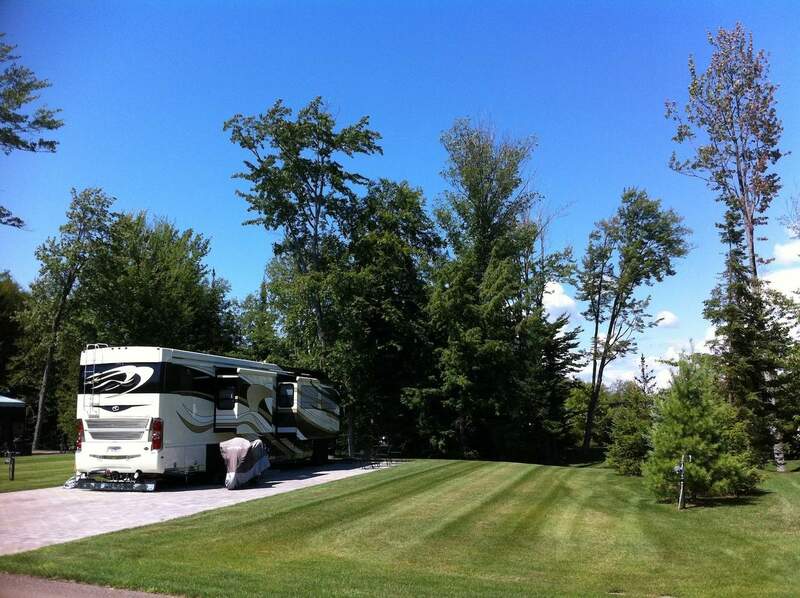 Prime north facing view, large side yard and mature trees all around. 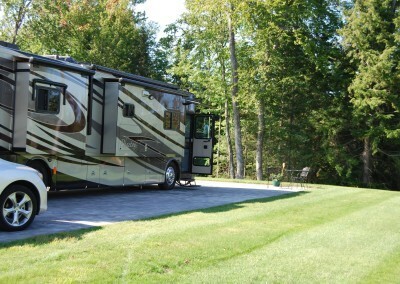 Enjoy the best of what Hearthside has to offer. 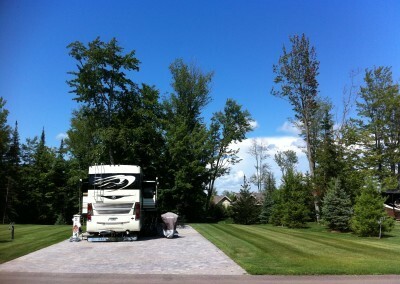 Afternoon shade creates a cool area to rest and enjoy the beauty of Northern Michigan. 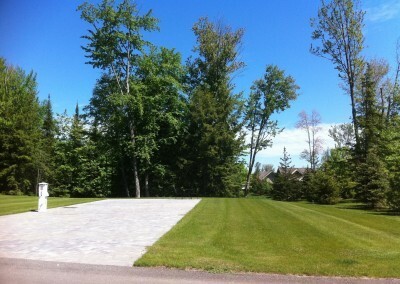 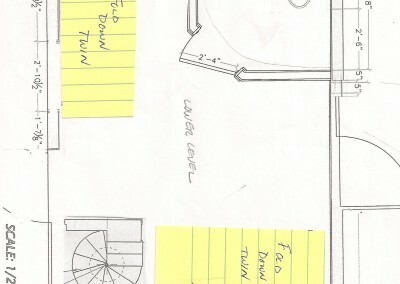 From here you will also see the pond to the south as you relax outdoors. 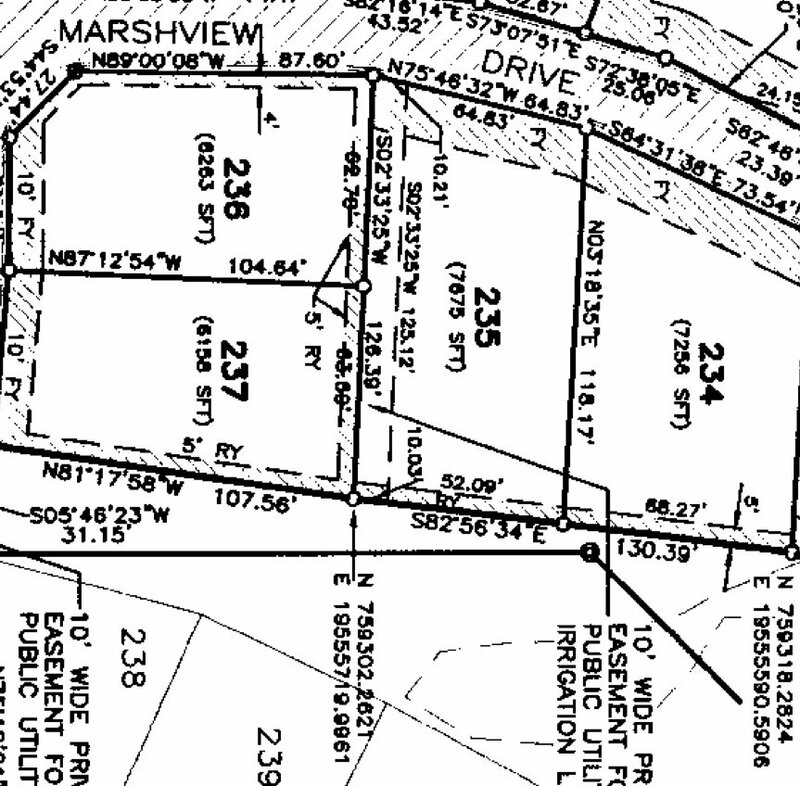 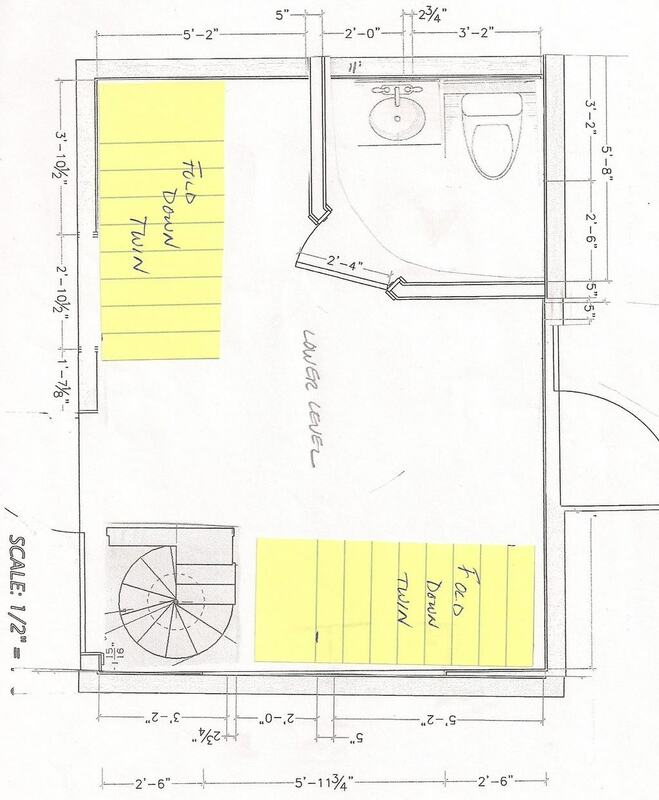 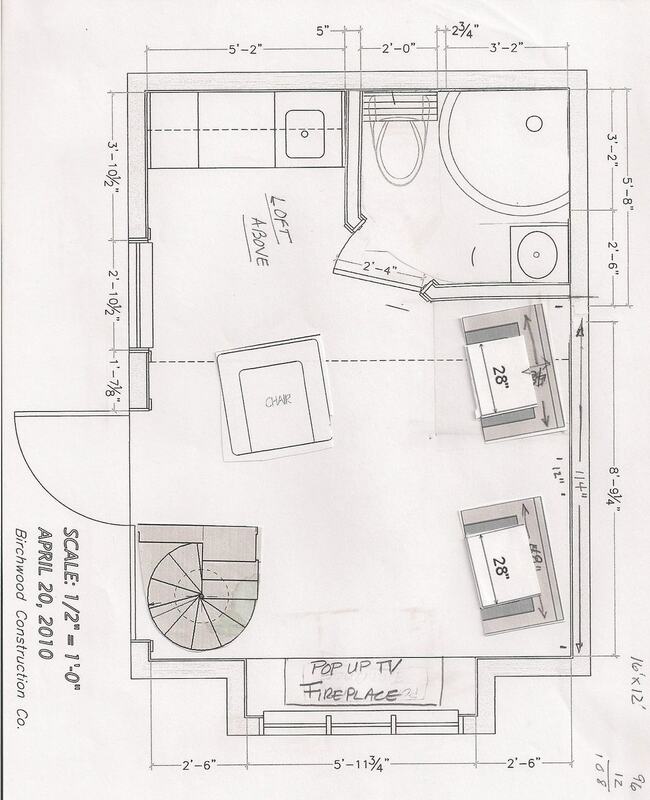 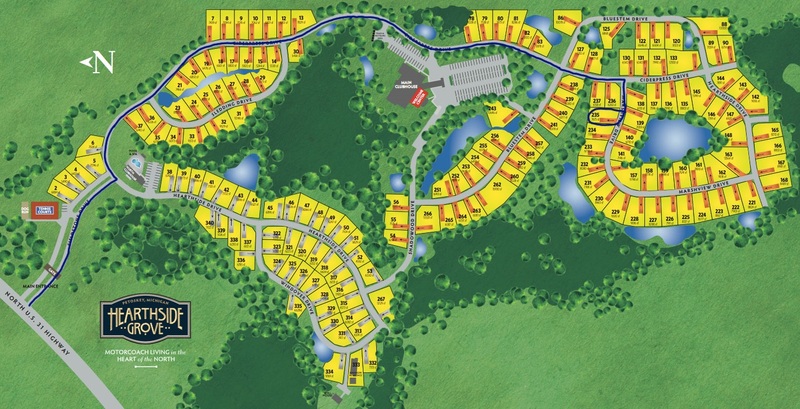 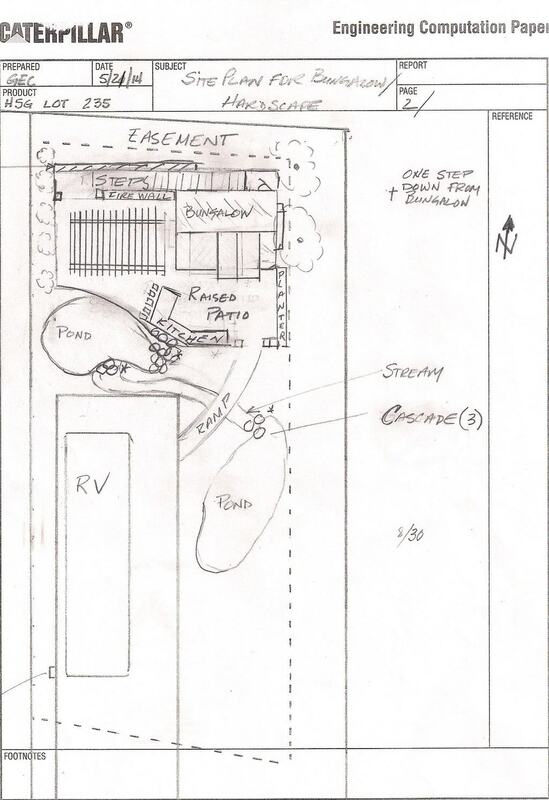 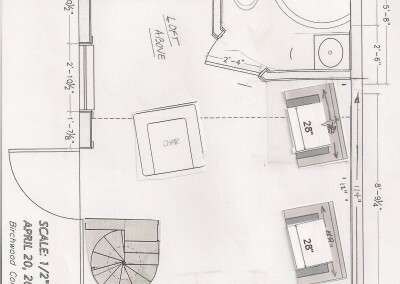 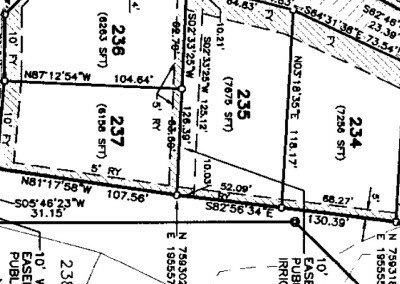 Lot 235 features the ability to have a basement and maximize your bungalows square footage. 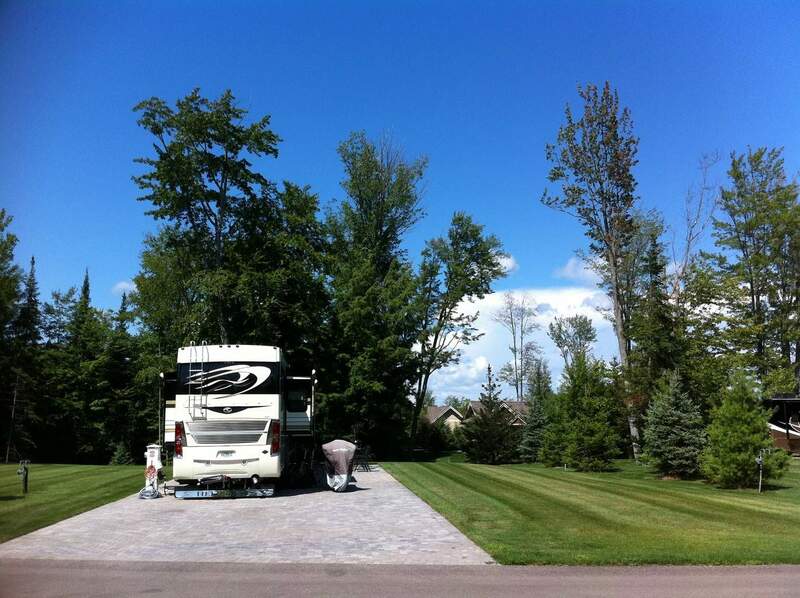 The brick paver pad measures 24′ wide x 70′ long, providing plenty of space for the coach, tow vehicle and accessibility to all of your storage bays. 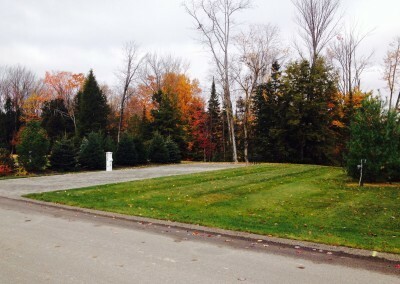 One of the few North facing properties left at Hearthside. Contact the sales office today for your personal property tour. 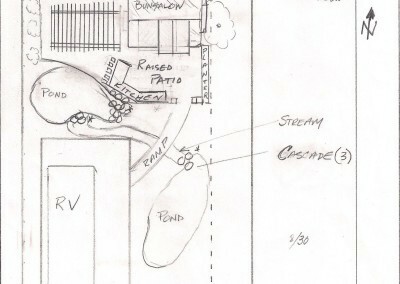 Preserve along North lot line.